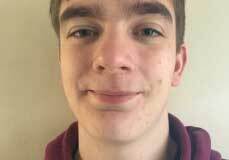 Michael Pryke, aged 17 from Stamford in Lincolnshire, has been announced as the Methodist Youth President Designate. He was elected at this year's 3Generate event for young Methodists that took place over the weekend of the 25 and 27 November. Michael was elected from five candidates running for the position. The candidates took part in hustings and produced promotional videos and displays as part of their election campaigns. Michael's campaign focused on opportunities for young people to participate in the life of the church, taking up roles that suit their gifts and to develop new styles of worship. "I'm deeply honoured to have been chosen to take up this role and I'd like to thank all the people who helped and supported me with the election," said Michael. "Young people need to be a voice of change. We are not just what is next, we are now and our voice counts." The current Youth President, Tim Annan, was among the first to congratulate Michael: "Having spent time with Michael over this past weekend, I'm confident and excited to see his passion and enthusiasm for the children and young people of the Methodist Church. He has great ambitions and I look forward to seeing what God has planned for him over his time as Youth President. "I'd also like to thank all the candidates for the confidence and passion to put themselves forward for the role of Youth President this year. I ask that we keep them in our prayers as they look ahead and wish them well in their ministries." Michael will begin his role next summer, taking over from Tim in September 2017.